Migrating to a new web host usually entails a lot of hard work– there are a number of things that can go wrong during the process. You will also have to make sure that everything works perfectly without any errors. BlogVault takes care of all of these issues so you can migrate to a new host easily, and with no downtime for your WordPress site. You will have to set up your account, and a new domain with your new WordPress hosting service. 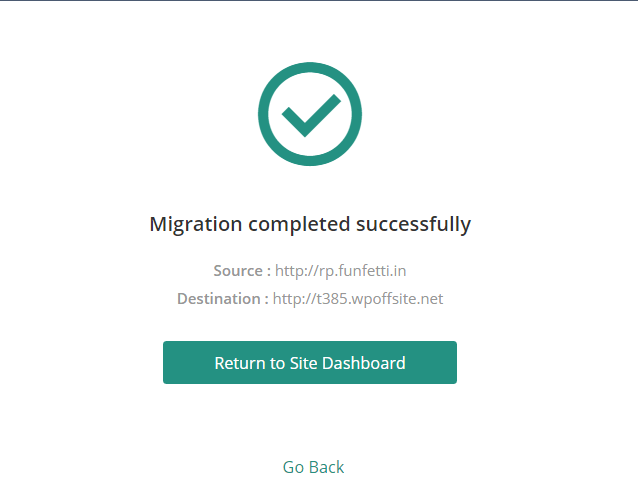 The FTP details (FTP username, password, and host server) of your new domain and host are necessary for the migration process. 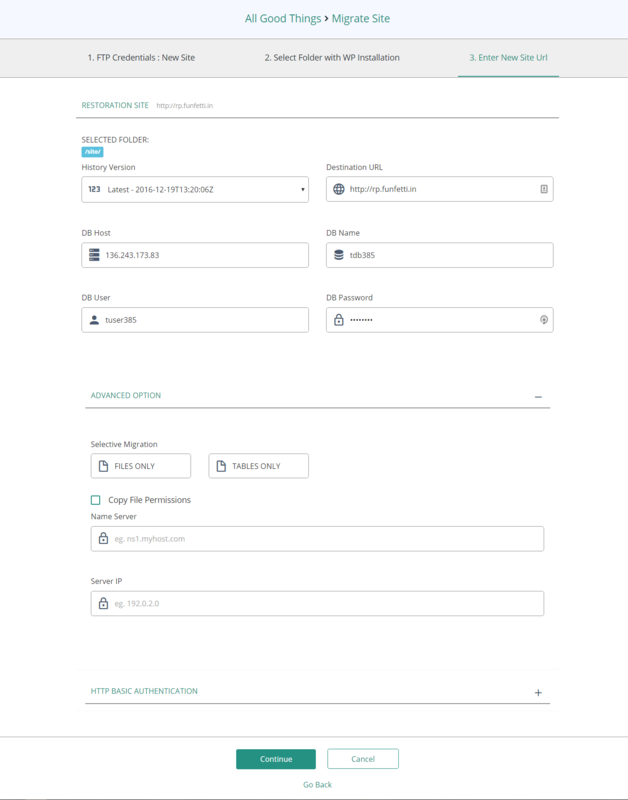 Create the domain you want to migrate to, on the new host. You can do this via ‘Add-on Domains’ in the ‘Domains’ section of your host’s cPanel. (Here, we’ve used BlueHost for the purpose of illustration). Your hosting account’s ‘Domains’ section will allow you to create a domain or subdomain. 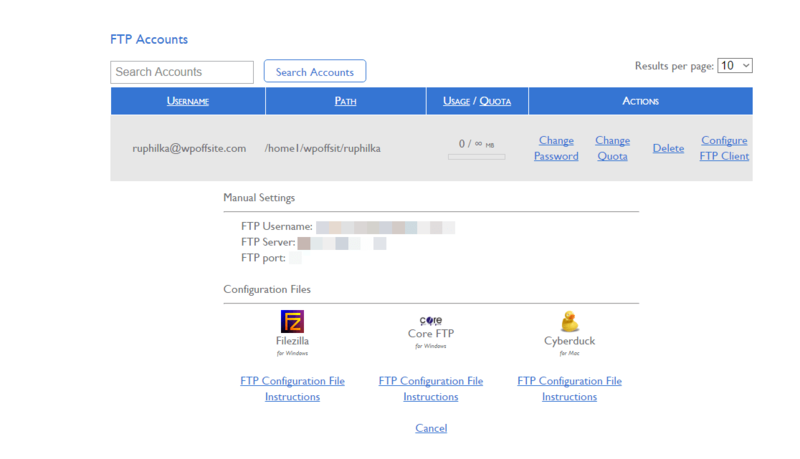 FTP Credentials – When you create a new domain, the new host’s cPanel will also create an FTP user using the username and password for it. The form you fill up for domain (or subdomain)-creation usually has these details. You will need these details later for migration, so make sure you note them down. CCheck the ‘FTP Accounts’ section to verify that a FTP user was created. On completing this step, the domain is created and ready for use. If your domain or sub-domain was created by your host or web developer, you’ll have to ask them for your FTP details. If you already have one domain (or have a shared hosting account that allows for only one domain), you can create a sub-domain from the same section. Once you create your domain/sub-domain, you can move on to the next step. Sometimes your new host may provide a temporary URL (such as http://1.2.3.4/~mysite). However, if you choose to use it, all internal links will be changed to this temporary URL; meaning it can be bad for your site’s SEO. Once you’ve created a domain or sub-domain, install WordPress, or manually create a database on the new domain. If you install WordPress, BlogVault automatically picks the database details of the new domain from the WordPress installation, so this is an easier option for you. Most web hosts will have a one-click WordPress installation process, which should start as soon as you select the domain to install WordPress on. During the installation process, make sure to check the option that allows for ‘automatic database creation’. If you would rather not install WordPress, however, you will have to manually create a database. Note: You don’t need to install BlogVault on the new domain. Make sure you know which protocol your host uses – FTP, SFTP, or FTPS. If you enter the wrong protocol, BlogVault will prompt you to change it. Server, Username and Password- Your hosting provider should have sent your FTP details via email when you created your domain, but if not, you will be able to find them in your hosting account. 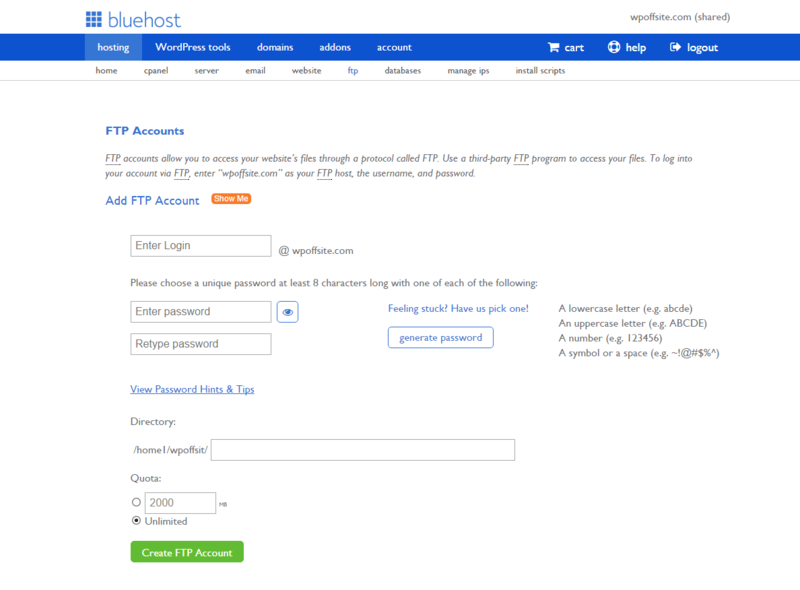 With Bluehost, these details are under ‘hosting’ → ‘ftp’. If you can not find these details at all, you might have to create a new FTP account. Once you have these details, you are ready to start the migration process. 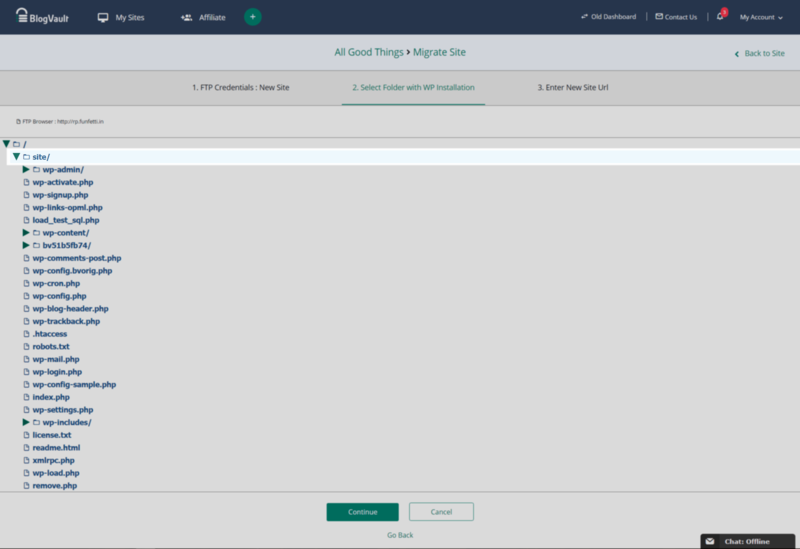 The first step in the migration process, is choosing which backup version (or copy of your site) you’d like to migrate. Our dashboard has a comprehensive History page that lists a month of your backups. If you’d like to access backups older than 30 days, you’ll have to contact us. Next step is to enter the FTP details of the destination (i.e. the new domain to which you’d like to move your site). BlogVault automatically migrates all the content straight to your server. The files are transferred using one of the standard protocols (FTP, SFTP, or FTPS). As a result, you are required to enter the account details on your new host. BlogVault works with all the 3 popular protocols. Moving forward, you have to select the location where you installed WordPress right at the start. This is where all your WordPress files (such as wp-login.php, wp-config.php) and folders (such as wp-content) are stored. If these files are present in the folder right after you login, press Continue and proceed. The site URL should be filled up by default. If not filled, it is likely that you chose the wrong folder. 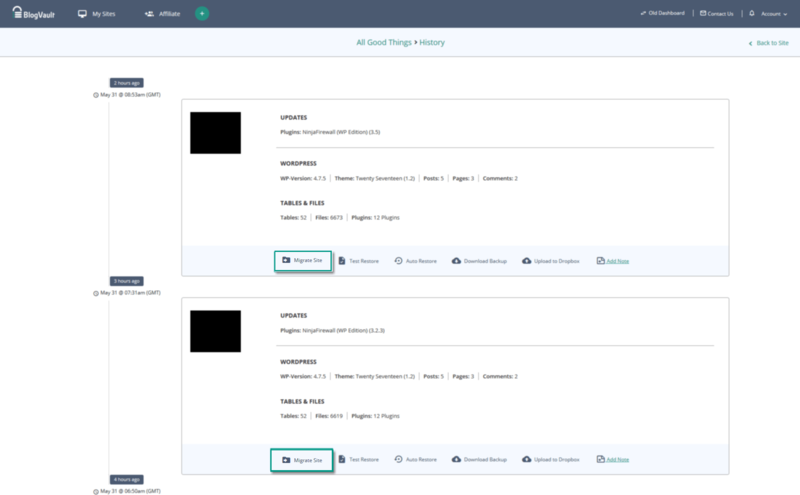 If you chose to install WordPress in the new server, BlogVault will automatically fill in the database details of the destination, from the WordPress installation. In case you didn’t install WordPress and chose to create the database manually, enter the appropriate details at this point. Files Only – If you’d like to move only your site’s files, check this option. Tables Only – Check this option if you don’t want any of your files. Only your database will be moved. Copy File Permissions – This option copies file permissions to the destination. If you leave this option unchecked, the default permissions for folders will be set to 755, and files’ permissions will be set to 644. Note: These are the recommended permissions for WordPress, so don’t tamper with them unless you’re sure of what you’re doing. Name Server – Check this option the DNS servers of the new location may not have been updated yet. Check this option to specify the name server of the destination. This will will let BlogVault contact the server and complete the migration, with zero downtime. Server IP – Sometimes the FTP IP address is different from that of the Web IP address. In such cases, you can specify the Server IP (Web IP) in the space provided. Note: You will either use Server IP or Name Server. There is no need to provide both. Once you enter all the required details, click Continue to proceed with the migration. Congratulations! Your site has been moved to the new location and ready for use.